Believe it or not, it hasn’t always been so easy to snap a selfie. A photograph, roughly 100 years old, recently surfaced revealing what lengths some individuals would go to in order to capture that perfect self-portrait. It’s definitely interesting to see what an early 20th-century photographer came up with to include himself in the photo. Redditor KevlarYarmulke shared an image featuring an early version of the “selfie” on Reddit. 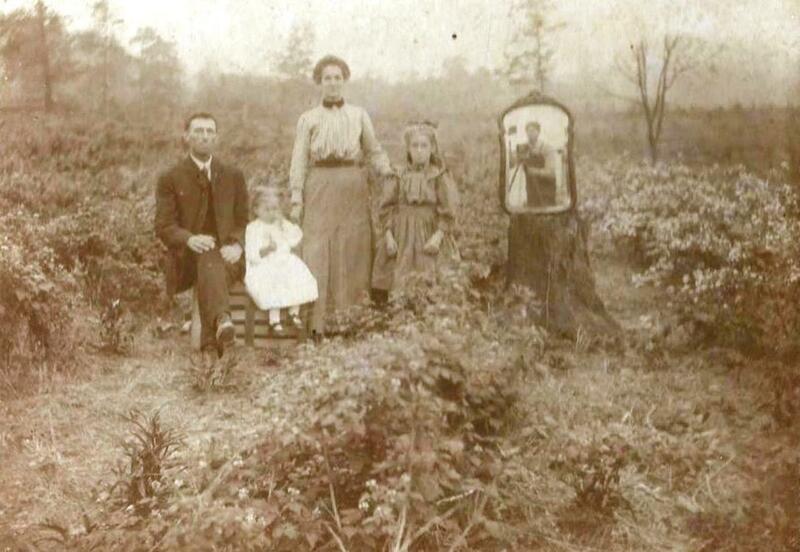 The photograph, which is simply dated as 1900s, features a family of four, pictured among the foliage likely surrounding their home — a common image in the U.S. throughout the early 20th century. Not so common is the placement of an ornate mirror, perched up on a tree stump in such a way that the photographer can be seen in its reflection. Self-portraits, or “selfies” as we tend to refer to them today, were not all that uncommon throughout history, however the methods for which self-portraits are captured have obviously become significantly simpler.